On December 17, 2014, New York Assembly Bill 9933, which amends Articles 1, 7 and 9 of the Uniform Commercial Code, was signed into law by Governor Andrew Cuomo. The changes to Article 9 became effective immediately. New York’s version of the Article 9 Amendments includes Alternative A for individual debtor names (§ 9-503), thus requiring UCC financing statements to provide the name indicated on the individual debtor’s unexpired driver’s license or other state-issued photo ID card. If the debtor does not have a current driver’s license or state-issued ID card, the financing statement must provide the debtor’s surname (last name) and first personal name. 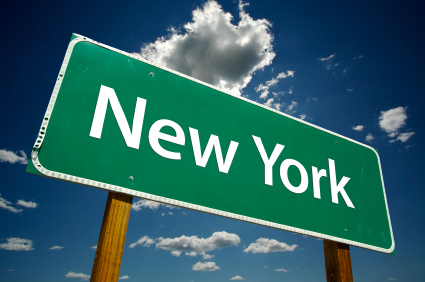 Filers should take note that New York omitted a number of provisions that were in the model amendments. One that may cause the biggest burden to secured parties is the omission of the transition provisions (Part 8). The transition provisions clearly spell out that filings against individuals that were good under previous law would remain effective through the 5-year transition period without any action by the secured party, even if the individual name does not meet the new Alternative A driver’s license requirement. Instead, the New York legislation provides that the changes, "shall take effect immediately and shall apply to transactions entered into on or after" December 17th. There is some uncertainty regarding whether the changes apply to pre-effective date transacations. If this legistlation does apply to pre-effective date transactions, then secured parties only have 4 months -- until mid-April 2015 -- to amend their UCC financing statements in order to remain perfected in collateral acquired by the debtor after that 4-month period (See § 9-507(c)). Secured parties and their counsel should carefully review the transition provisions in the model act to determine the additional ramifications of New York’s omission of these provisions. It’s also notable that the bill omits the amendments to Section 9-516 that would have eliminated the requirement to include an entity debtor’s type of organization and jurisdiction of organization. The bill also omitted the model amendments to Section 9-521 (forms) leaving in place the non-uniform provision that the Secretary of State will decide which forms will be accepted by filing offices. This will likely mean that New York will continue to use the old (current) version of the forms. Using the old forms may create some issues for filings where the debtor is a trust or a decedent’s estate since NY did enact the amendments to Sections 9-503(a)(2) and (3), which require special language that does not appear next to the check boxes for trust and estate filings on the old forms. In that situation, secured parties may want to make sure that the required language is included somewhere on the financing statement, such as in the collateral box, on an attachment or in the miscellaneous field on the addendum form. Regarding pre-effective date filings involving trusts and estates, New York’s omission of the model act transition provisions (specifically Section 9-805(e)) may cause issues with these types of filings because the new language required by Sections 9-503(a)(2) and (3) will likely not be included on pre-effective date filings. Whether this is required is a matter of interpretation of the language in New York's enactment, which indicates the amendments, "shall apply to transacations entered into on or after" December 17th. In light of the uncertainty, secured parties may want to consider amending these filings to add the required language. Secured parties and their counsel should carefully review the full text of Assembly Bill 9933 to determine what actions may need to be taken now that New York’s Article 9 Amendments have become law.